Im really excited to share this project with the Carbide 3D Community. Its still amazing to me how quickly you can go from Concept to Real parts with the Nomad and Carbide Create. You need a system to unite the keys. The #KEYcore System consists of a single bolt, an insert “CORE” for each key, and a keyTOOL. Keep it Small, Simple, and allow for customization. 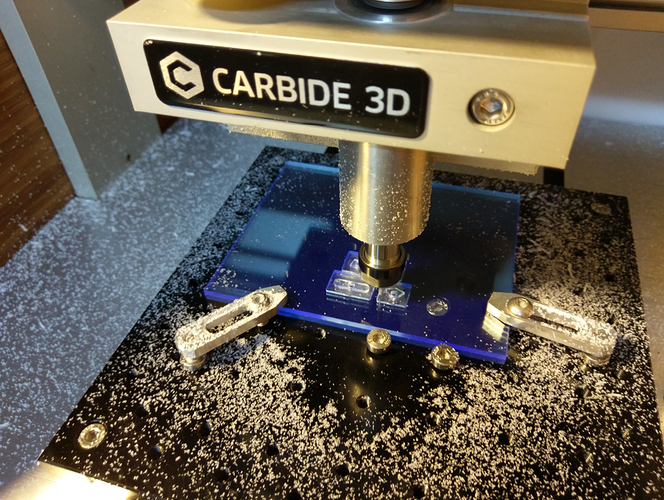 I began by measuring my keys and drawing the KEYcore parts in Carbide Create. 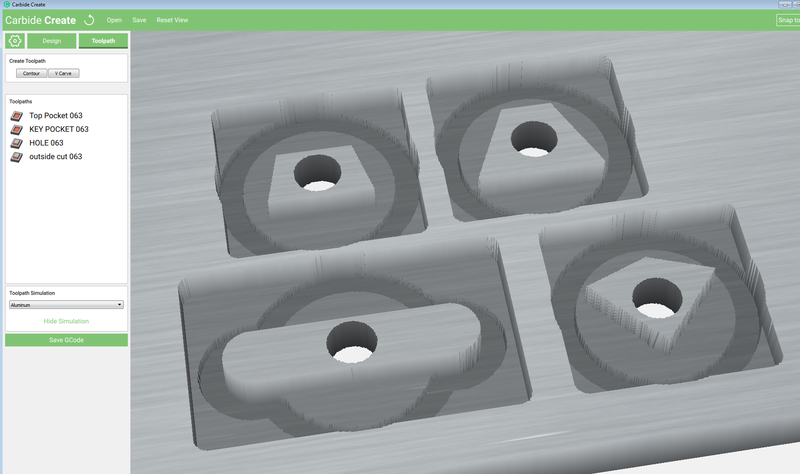 Heres the Toolpath Preview of the KEYcore parts for my 4 EDC keys. I usually do a first test cut in Acrylic, less expensive than Delrin - which will be used for the final test model. 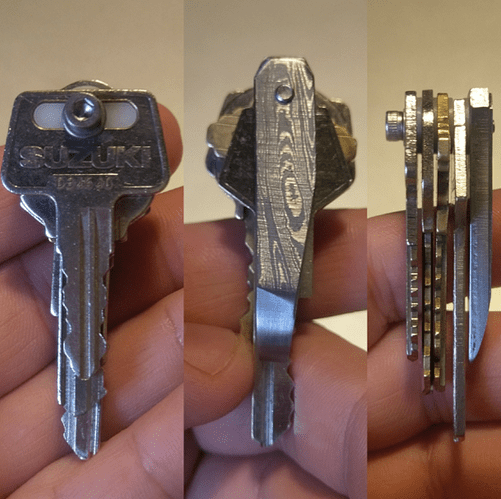 The KeyCORES were a perfect fit and with the working prototype in my hand I was pleased with the tight fit, and smooth rotation of the keys. 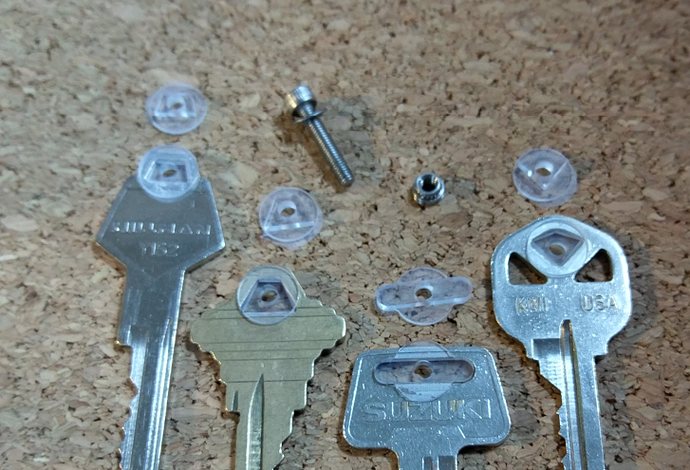 Truck, Shop, Motorcycle and House Keys with Acrylic KEYcore parts. Note the M3 threaded insert is a placeholder for the KEYtool at this point. 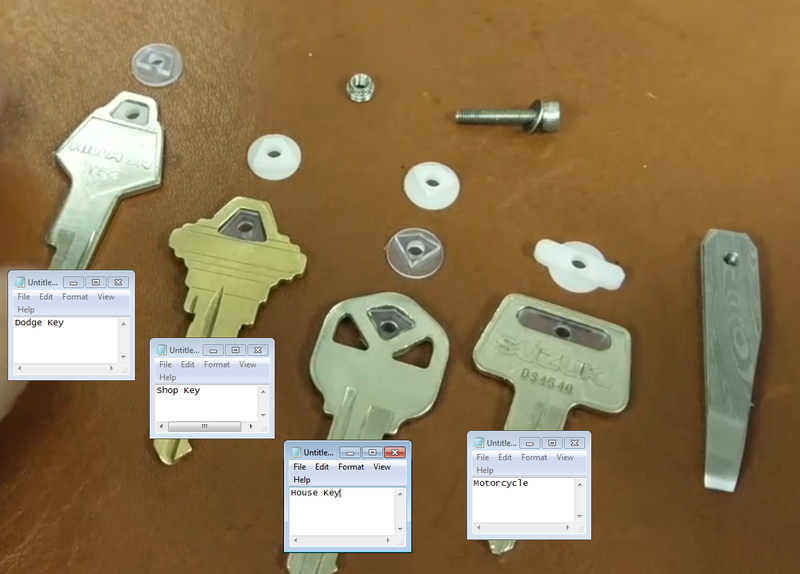 I want this to be slim and minimal, so just the 4 keys I need and a single tool. Aluminum is fine, but I wanted to work with Damascus for awhile, and here was a great reason to experiment with a new material. 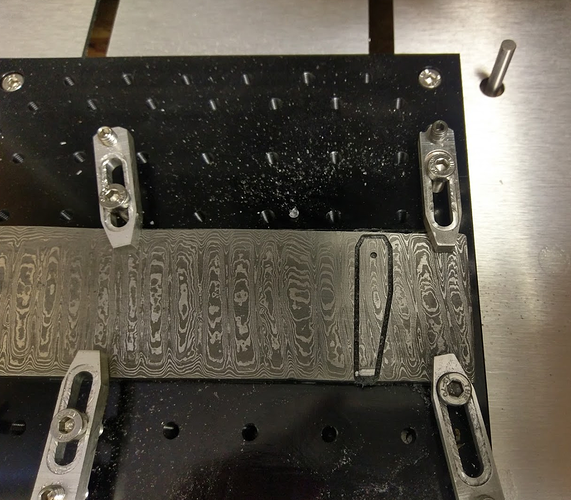 I used the 1/16th square endmill and cut the Damascus part in about an hour. 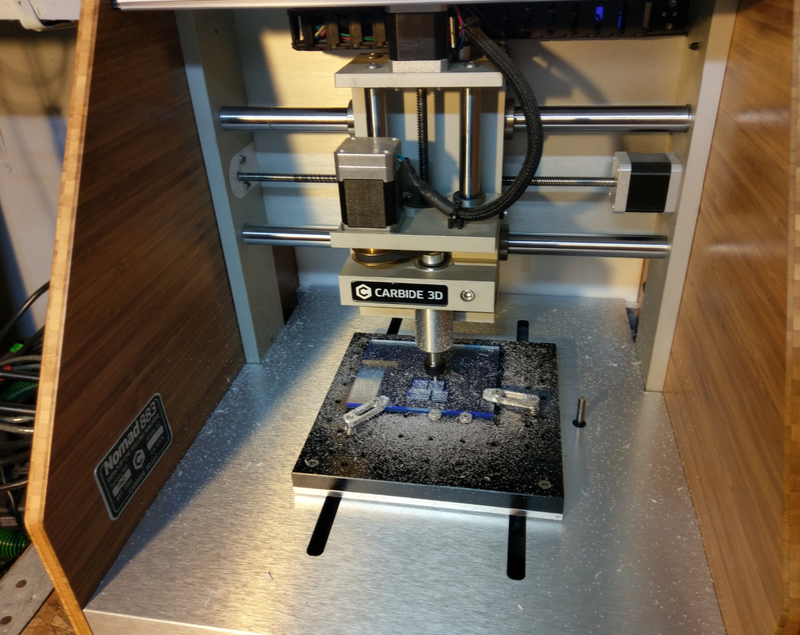 The HotGlue tec coolant was used. I think the keyCORE is a solution that designers (and especially student designers can build on top of. 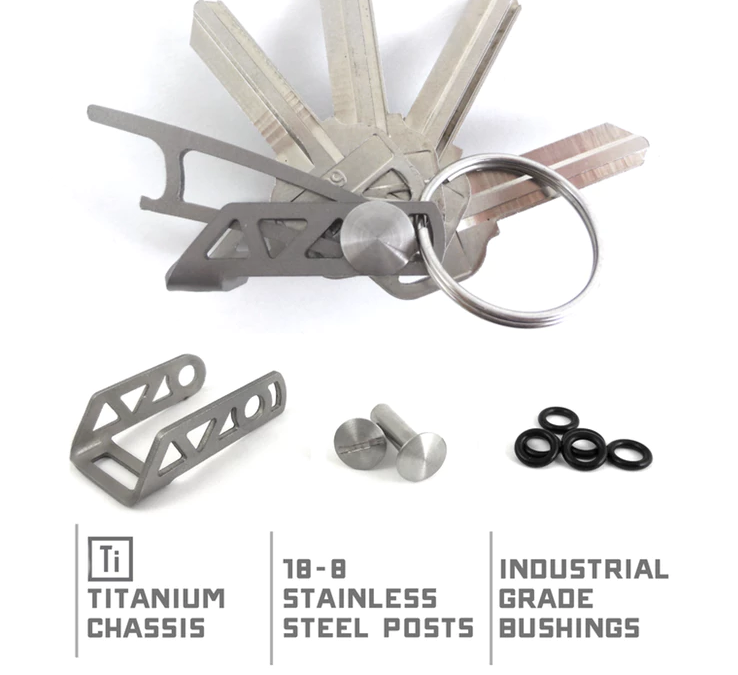 The Key-Tool is the opportunity to be creative and uniquely address your own specific pocket tool needs. The Key CORES make a simple clean and minimalist EDC KEY solution, and the Nomad PRO made it possible to take my idea from a concept to working prototype in 12 hours. 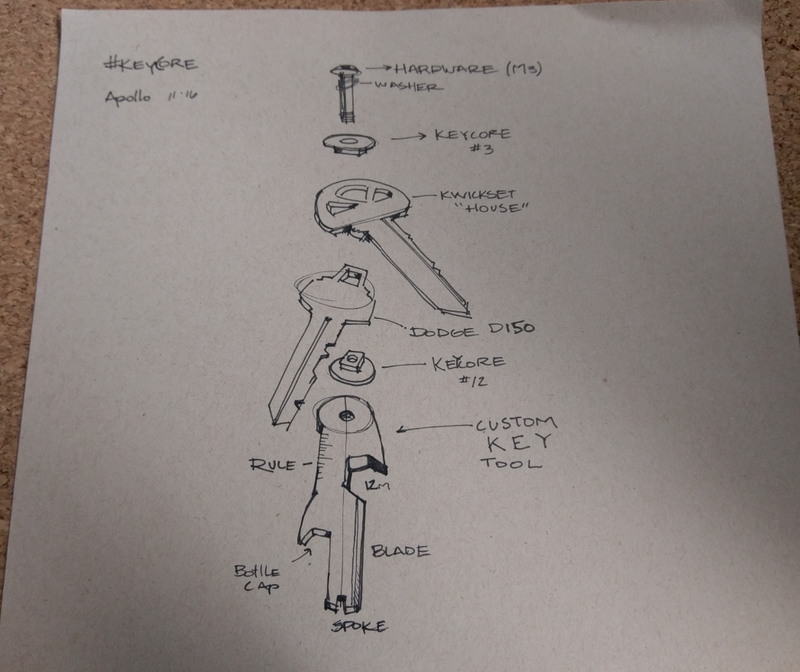 I will continue to document this project and add my own KEYTOOL designs. Once you build one of these you will love the silent, solid feel and smooth action. I hope this is inspiring to you and I would love to see your personal builds and unique tool designs. Rather than the SHCS, why not use a Chicago screw? They do them w/ decorative ends — made a pair of leather key holders using them when I was a kid. The majority (all that I can tell) use the o-ring and “binder post” (chicago screw) as a hardware solution. This can require drilling the keys to make them fit. The KeyCORE is much smoother and tight becuase its a bushing- a shoulder bolt would be my next step in a clean assembly solution. Damascus Steel isnt cheap, but it looks amazing! I used the Water based coolant and Hot Glue wall technique.